The Dallas Cowboys play their next three games in 13 days, all critical to their hopes of winning the NFC East despite alternating wins and losses since week one. For the Cowboys to earn consecutive road wins, their first coming on Sunday night at the Eagles, they'll have to come out of Atlanta in much better shape than they did just a year ago. As expected in the NFL, a lot has changed in this year. The Cowboys 27-7 loss at the Falcons in their first game without Running Back Ezekiel Elliott was the beginning of the end on a season that forced a multitude of coaching changes in Dallas. 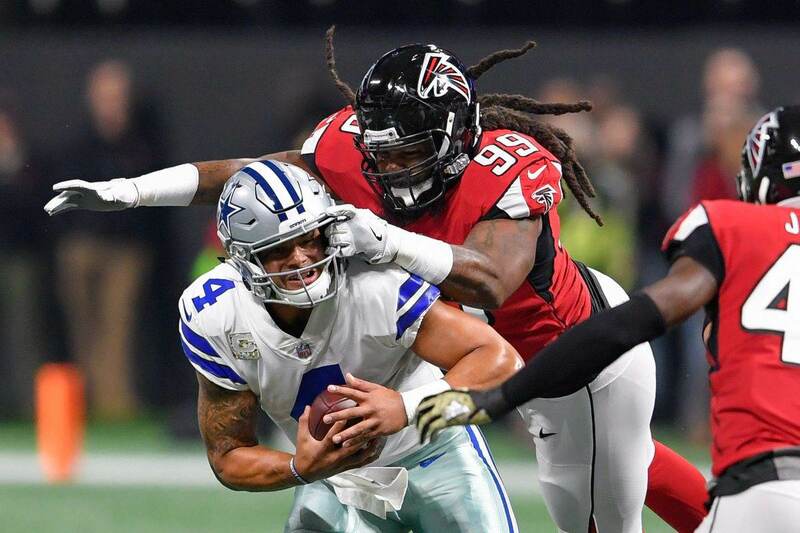 The Cowboys stubbornness in allowing Falcons DE Adrian Clayborn to sack Dak Prescott six times by beating Chaz Green and Byron Bell is something they hoped to move past when new positional coaches were brought in at OL, TE, QB, and WR. It took the team admitting that these moves below Offensive Coordinator Scot Linehan were not all correct two weeks ago for the Cowboys to see any real progress, but with their win last week there's hope that the Cowboys are the improved team expected weeks ago - arrived just in time for Thanksgiving. Firing Offensive Line Coach Paul Alexander was the first move, as the Cowboys named Marc Colombo OL Coach and Hudson Houck his assistant. Colombo told 105.3 The Fan in Dallas this week that he has injured Center Travis Frederick on a headset during games as well. Colombo, Houck, and Frederick have the Cowboys offensive line confident in their ability to play to their strengths, rewarded with a renewed faith in the zone blocking scheme that was forgotten under Alexander. If the Cowboys offensive line was their first problem in last year's Falcons loss (it was), it's becoming their biggest strength at the right time in the season. The Cowboys necessary changes didn't stop here though. In desperate need of a play maker on the outside, the Cowboys are seeing their investment into Wide Receiver Amari Cooper pay off so far. Cooper is averaging 3.2 yards of separation on his routes this season, ahead of Cole Beasley's 2.6 yards as the next closest pass catcher. Cooper's presence was a big part of Ezekiel Elliott's 151 yard rushing performance at the Eagles. A player that can win on the outside with ease and dictate coverage has benefited Prescott and the Cowboys game plan on offense enough to send away a first round pick. It will be up to this "rebuilt" Cowboys offense to match the Falcons on Sunday. Atlanta is averaging 27.1 points per game this season, but a much more dangerous 32.2 at home. After a 1-4 start, the 4-5 Falcons are playing in front of their home fans for the first time in two weeks, losing at the Browns in week ten. 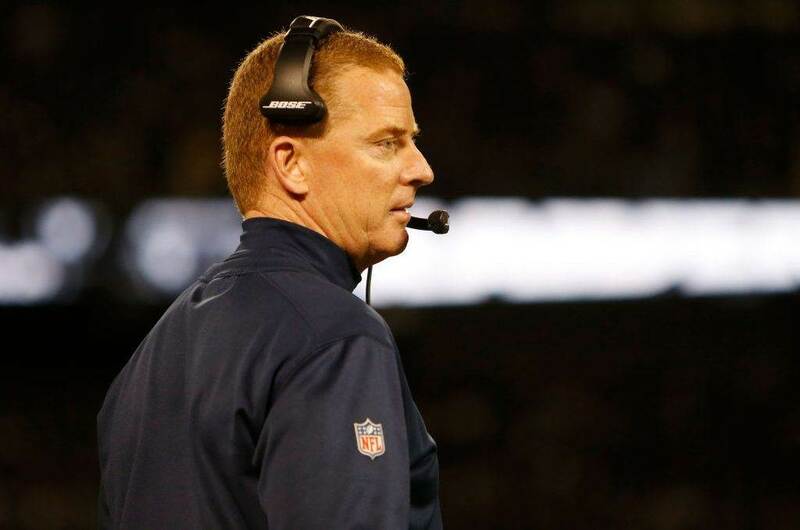 The Cowboys felt they'd be prepared for games like this after their offseason moves, instead needing to show the type of in-season urgency that's been rare for Jason Garrett's team. The same can be said about a Falcons team that's experienced playing with their backs to the wall much sooner than the Cowboys have this season, setting up a big NFC match up in the early slot Sunday. Dak Prescott will be thankful that Chaz Green nor Byron Bell are protecting him, wanting nothing more than to deliver another win for the Cowboys to take into Thanksgiving against the division-leading Washington Redskins. Not all of the coaches responsible for the lack of adjustment in last year's game are gone. 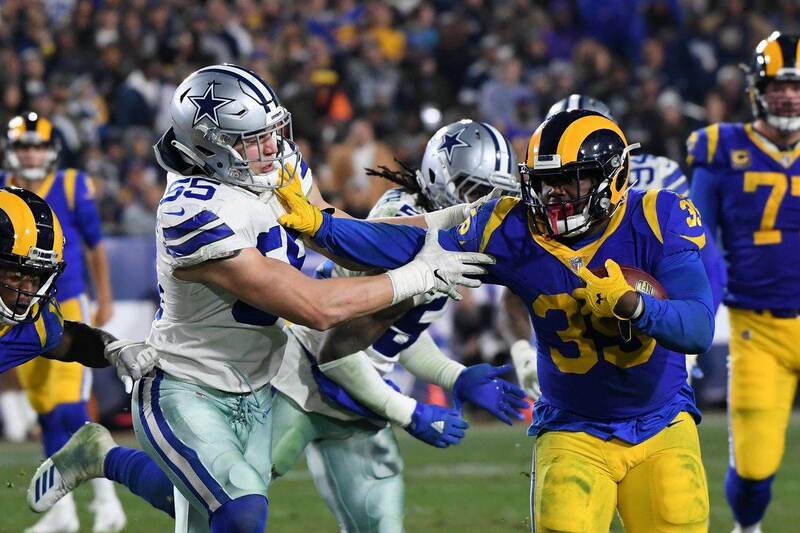 What the Cowboys do have are tangible new ideas from coaches that understand they need more than a win at the defending Super Bowl champions to call this Cowboys season a success. 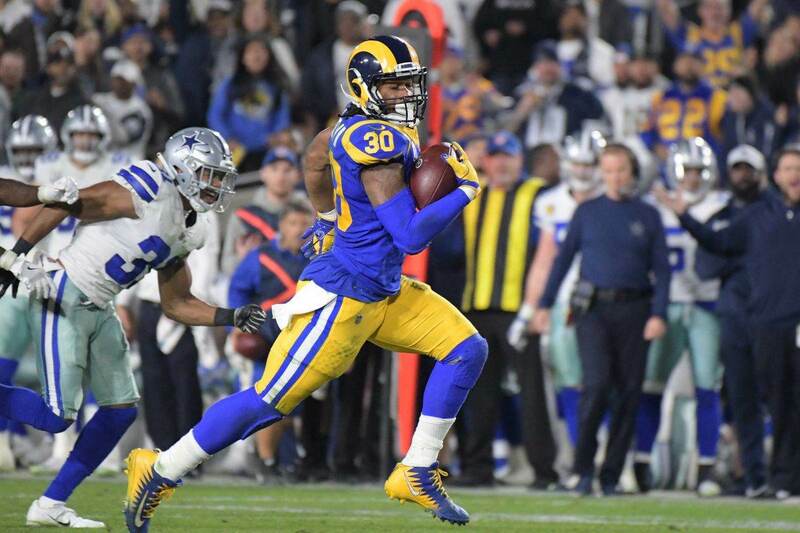 Tell us what you think about "Cowboys Have Already Corrected Biggest Mistake From 2017 Loss in Atlanta" in the comments below. You can also email me at Sean.Martin@InsideTheStar.com, or Tweet to me at @SeanMartinNFL!